Some movies are better in concept than they are in execution. 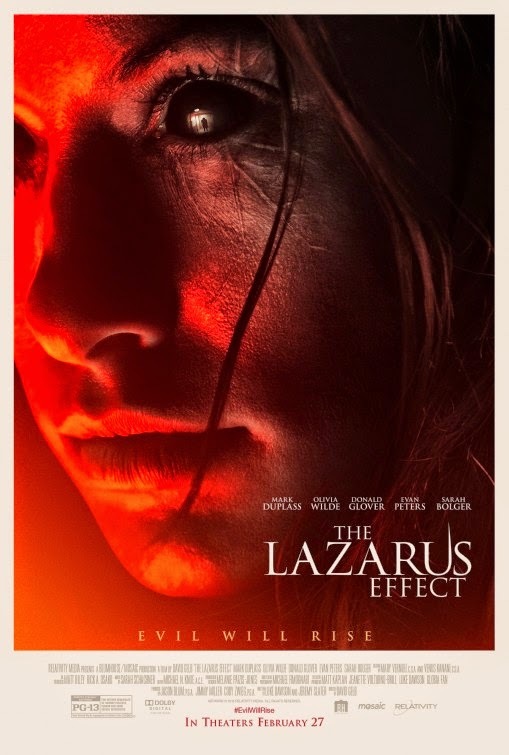 The Lazarus Effect is one of those movies. It sort of races along from point to point, never pausing to catch its breath or to even tell a solid story. Running a scant 83 minutes (including credits), it just hurries along its merry way, happy to simply try and make you jump. At the same time, it is a movie that does a better job of reminding me of better movies than trying to be a good movie itself. To that end, I really do not have a strong desire to spend a lot time on it. Just remember that you would be better off taking a pass on this one. The movie follows a group of scientists experimenting on a serum that is intended to extend the period someone can be under for surgery, I am guessing when someone flatlines it extends the time you can revive without consequences. Of course, toss in the word Lazarus in the title and you are implying something else, at least that is what I think. We catch up with our intrepid band as they attempt to reanimate a dead dog. Much to their surprise it works. Before long, they are confronted by their superiors and have all of their research taken. They sneak in, an accident happens, one of their own dies, and, well, I am pretty sure you can guess what happens next. Essentially, this plays out like a mash up of Flatliners and Pet Semetary. However, it does it without the actual interest of either of those other movies. Seriously, The Lazarus Effect is just not a good movie. 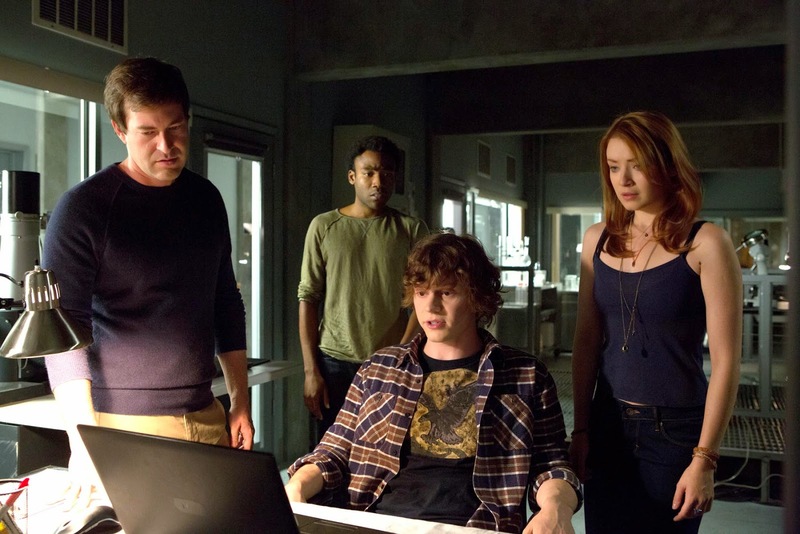 The characters are dry, the actors are misused (Evan Peters and Donald Glover, in particular, oh yes, and Ray Wise in his one scene, ONE SCENE), and whatever good ideas they have are never explored. They keep harping on the one mistake made by Olivia Wilde's character and allude that when she dies she goes to Hell before coming back. Interesting idea, right? But it is not executed well at all. Rather than use the scares to explore the experiment, we wind up with a cat and mouse chase for the latter part of the movie. I would say this was a disappointment, but it wasn't. Not really. Frankly, I sadly had low expectations for it. I was hoping to be surprised or see something that blew me away, but I had to settle for a couple interesting ideas. The idea of someone being dragged out of hell, the unforeseen affect of the experimental serum, good stuff there, wasted on a movie that goes nowhere fast and falters at each turn. Oh well, better luck next time. This Lazarus Effect is DOA, no chance for revival.